Are you a keen entrepreneur who has the passion for fashion and shopping but still wants a balanced family life? 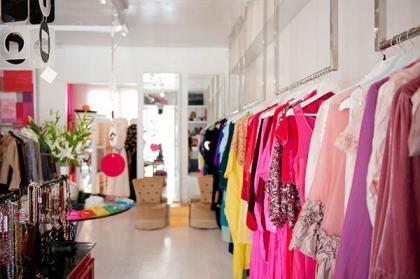 This turn-key fashion boutique business is the profitable venture that you are searching for. It offers a wide range of lasting clothing line and women accessories, satisfying the elite Canadian taste for more than 30 years now in the great city of Edmonton. Furthermore, the owner has already established a credible reputation in the fashion industry that brought forth growth opportunities and a steady flow of cash revenues. This turn-key boutique boasts its high-quality luxury brands and stylish trends that had made the company one of the sought-after fashionable and quality designer clothing businesses. It has also been operating for more than three decades now on a very busy street close to large destination malls. This location has a high visibility and can be easily accessed by passersby and commuters. In addition, it has a vast parking space, high foot traffic from residents and amazing commercial neighbors. This paved the way to an increased client base that consists of both new and repeat customers. The company has also formed connections with a number of independent retailers that aid in the promotion of its various quality products and services. It has also maximized the advertising potential of social media, where online outlets were established that expanded its visibility and further increasing the number of its prospect clients. The current owner has finally decided to sell the business because he is permanently relocating out of Alberta. He has included an existing inventory and equipment lease in the reduced selling price. In addition, the fashion boutique store has well-maintained set of fixtures and pieces of furniture, a new Point of Sale system (POS) that can be integrated into an accounting software, a complete client base directory with email addresses and contact numbers, new signage and more. This women’s fashion boutique retail shop is closely located to a strip of independent businesses on a very busy main street with a vast parking space. It has been completely renovated 4 years ago. The company has installed new signage and trendier mall pylons two years ago. These have attracted so much attention from new customers that even included tourists around the area. It also has very large windows that permit striking displays, enticing potential clients passing by or from across the parking lot. This shop is also open from 10am to 6pm every during Mondays to Fridays and 10am to 5pm on Saturdays. It is closed on Sundays and public holidays. With the business’ eCommerce site, the company has become more visible to prospect clients across the country. It has also served more customers and even its own employees by adding more functionality in its new POS system, which includes accounting, reporting and inventory control. Its fresh clothing line inventory have also sold more frequently due to smart buying decisions incorporated in their marketing campaigns. An avenue that this firm can explore is exporting its products overseas, which will definitely expand its network clientele. The business has been very successful for the past 30 long years, since it started operating in the fashion industry.